NetNation Review 2019: Is NetNation a Good Hosting? American web hosting company NetNation was established way back in 1997, since when it has merged with another company (Hostway Corporation) to continue as a pioneer of web hosting, dedicated servers, colocation, and domain name registration solutions. NetNation, or NetNation Communications Inc. to give it its full name, is a pioneer in web hosting, dedicated servers, colocation, and domain name registration solutions. The company goes back as far as 1997, but it merged with Hostway Corporation in 2003. While the United States is its home base, this provider also has a noteworthy presence in more than 130 other countries including Canada, Bulgaria, Georgia, and the United Kingdom. Their website is in English. NetNation owns modern American and Canadian data centers that provide world-class hosting for customers. For fast and reliable routing of traffic, they have multiple connections to major internet backbone carriers that come with OC-12 and Gigabit Ethernet connections. Also, the N+1 redundant data centers include several HVAC systems and redundant power to boost performance and keep their systems running uninterrupted. NetNation provides managed hosting solutions businesses of all sizes. Whether you have complex server requirements or are just looking for flexibility and high performance, this vendor appears to have what it takes to deliver excellent hosting for your business. NetNation’s hosting solutions are available as four Linux or Windows packages with features such as 150 MB to 1500 MB disk space, and 5 to 200 POP3/SMTP email accounts. NetNation does not provide any backup services; they maintain that clients are responsible for their own data and should take their own independent backups to avoid data loss. 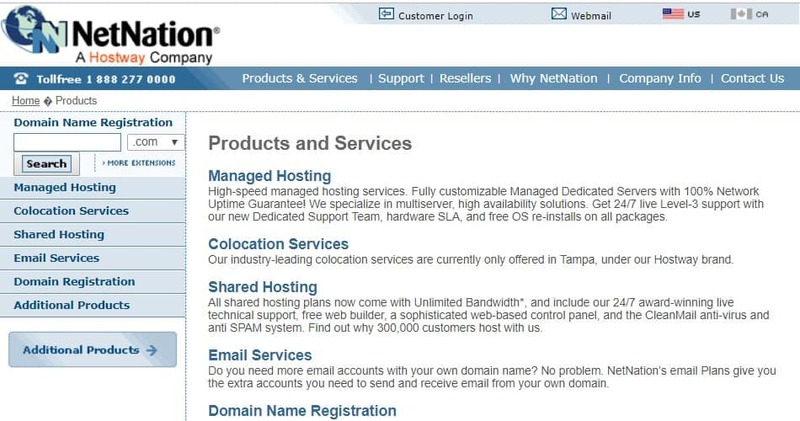 Note that NetNation’s colocation services are only offered in Tampa, U.S. by the parent company, Hostway Corporation. NetNation’s hosting plans are reasonably priced and include great features and tools to help you create and maintain your website(s). You can purchase plans on four billing cycles – monthly, quarterly, semi-annually and annually – and you get a discount if you commit to a semi-annual or annual subscription. There is a 30-day money-back guarantee, and the company claims to have a network uptime availability of 100%. You can contact NetNation’s support team via email, live chat, telephone, or by submitting support a ticket. While this company claims to have “outstanding customer support available 24/7,” I have to admit that it took me several attempts over several days to hook up with a support representative. It then took them two weeks to solve an issue that they had promised to address in a matter of days. 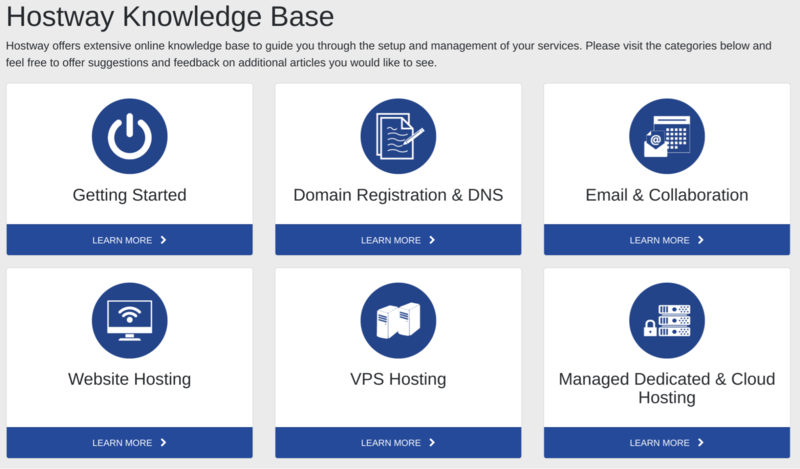 If you prefer to support yourself, you will soon see that they have a nice looking Hostway-branded knowledge base. If you’re looking for hosting solutions for resource-intensive websites, NetNation should be at the top of your list. They have feature-rich hosting plans suitable for e-commerce websites and small to medium-sized businesses. That said, their poor support means that their solutions would best serve enterprises with the expertise to deal with their own hosting issues. Wondering how NetNation stacks up against other Web Hosting companies? Enter any other Web Hosting company and we will give you a side-by-side comparison.